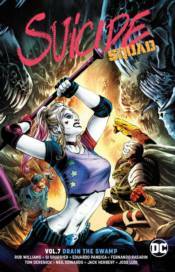 When a new threat threatens the Earth, the Suicide Squad is called into action-along with a new member! But who is the mysterious Juan? And what are his powers? Then, there is a foe who knows their weaknesses and secrets. A foe who knows this ragtag group of antiheroes better than they know themselves. It's their former teammate, Hack! But...isn't she supposed to be dead? How is Hack back? And what are her plans for the Suicide Squad? Collects issues #33-40.